Phil Cooper serves as CEO of Cooper Pest Solutions headquartered in Lawrenceville, NJ. Phil is a former NPMA Board of Director, and in 2009 served as President of Associated Pest Services. 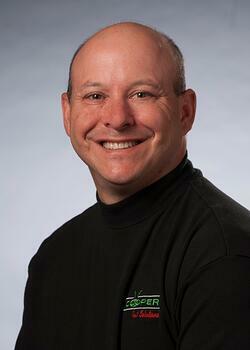 Phil also recently served as the President of the NJ Pest Management Association. Phil’s middle name is Passion. Author of the book, “What plus HOW= WOW, A Customer Service Methodology” Phil consults with companies taking their customer service to the next level. Passion extends to giving back. Honored in 2013 as NJ Corporate Citizen of the Year by NJ Biz Magazine for his outstanding philanthropic efforts. Phil rides thousands of miles on his bicycle, wrapping his philanthropic efforts around “Phil Across America”, bringing awareness to the causes he is passionate about and promoting diversity. A believer in fitness, Phil is a Spin instructor, teaching classes twice a week since 2001 and serving as VP of the Arborlea Tennis Club. Phil is also about fun. An avid Philadelphia Eagles fan, he is face painted at night games, playoff games and against Dallas. Phil’s face was featured by the Eagles in 2010 on their yearbook, schedules and will call envelopes. Simply put, Phil is an uber-Eagles fan!!! A 1984 graduate from The George Washington University, Phil brings his passion and culture to the Cooper organization, being awarded in 2013 as the Best Place to Work in NJ by PhillyBurbs.com. Phil resides in Yardley, PA with his wife Laura. They have two children, Samantha and Andrew.